Bias Inc. has ceased operations, according to a short message on their website's homepage. BIAS has recently released Peak Studio. BIAS unveiled Peak Studio - a new edition of theaudio editing, mastering, and delivery software for Mac OS X. BIAS is shipping SoundSaver, a new software solution for Mac and Windows computing platforms designed to streamline the process of converting and restoring LPs and tapes. BIAS announced that SoundSoap 2.4 - an update of the audio noise reduction software plug-in and application for Mac and Windows - is now available. Berkley Integrated Audio Software (BIAS) has announced that PitchCraft EZ, an alternative to the pitch correction and special effects tool popularized by Antares' Auto-Tune, is now shipping. 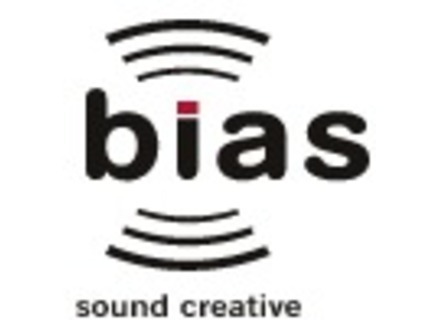 Berkley Integrated Audio Software, Inc. ("BIAS") debuted PitchCraft EZ, an alternative to the popular pitch correction and special effects tool. Berkley Integrated Audio Software ("BIAS") has announced the release of SoundSoap Pro 2 - an upgrade to the audio noise reduction and restoration software suite for Mac OS X and Windows.